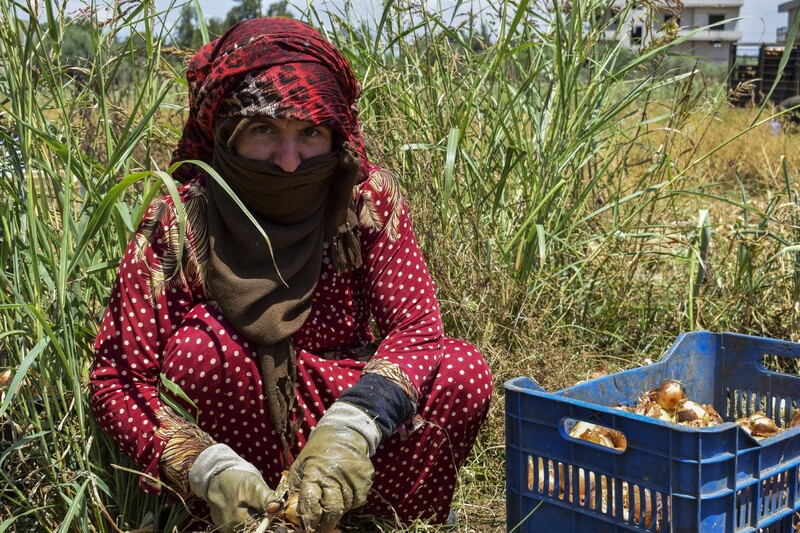 Accounting for 80% of GDP in some areas, agriculture is key to poverty reduction and economic growth in Lebanon. Tal Abbas El Gharbi — a village situated in Lebanon’s north-western corner — is thirsty. The surrounding Ostouane River should be sufficient to irrigate the sunbeaten lands that make up 85 percent of the village’s area. 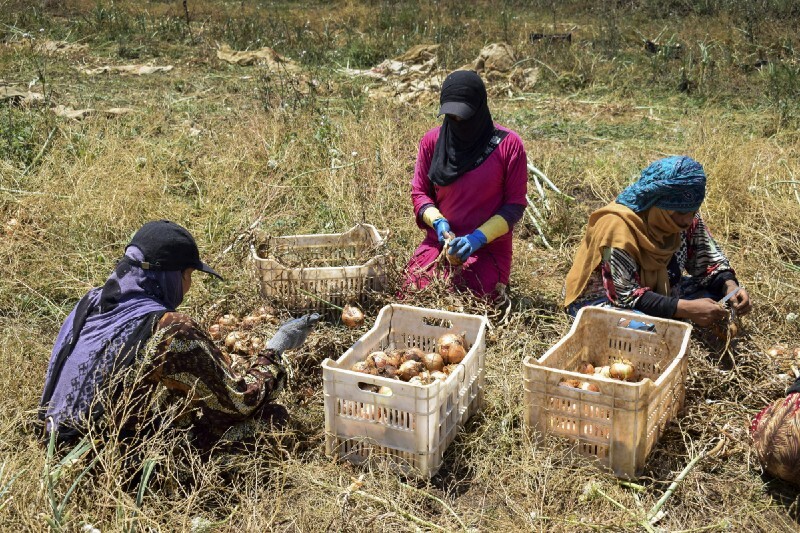 But water from the river is lost before it reaches the potatoes, onions and beans that are cultivated here — threatening the livelihoods of Tal Abbas’ 5,700 residents. It’s a well-known problem in Lebanon. People can rely on water services for only a few hours a day — and at irregular intervals. 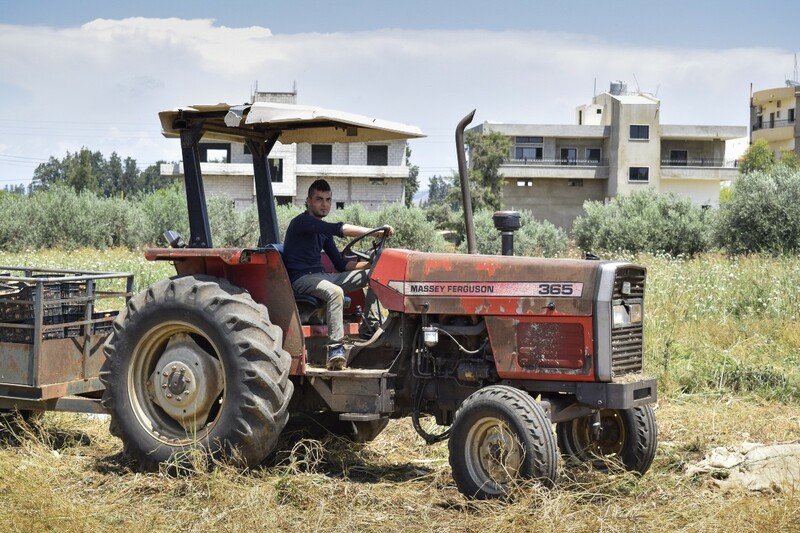 Like the majority of Lebanon’s rural areas, Tal Abbas is highly dependent on farming as its primary source of income, and unreliable water access is causing severe struggles for its population. “We grow our crops mainly in the winter when water is available. 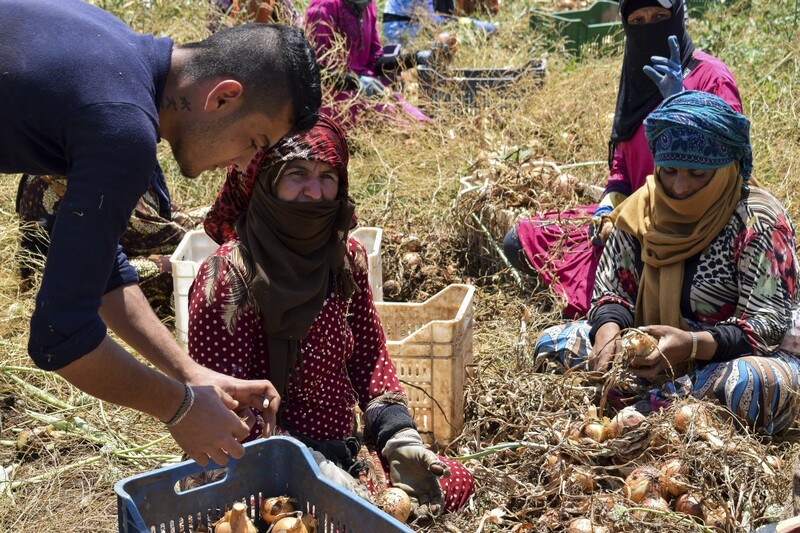 In the summer we leave our lands — there is not enough water,” says Mikhael Elias, a farmer and father of three who was born and raised in Tal Abbas, near the border with Syria. Some years ago, Mikhael had to limit his production to less thirsty crops like eggplants, corn and cowpea. Trucking in water to irrigate lands, an expensive and not especially environmental friendly practice, became a regular chore. 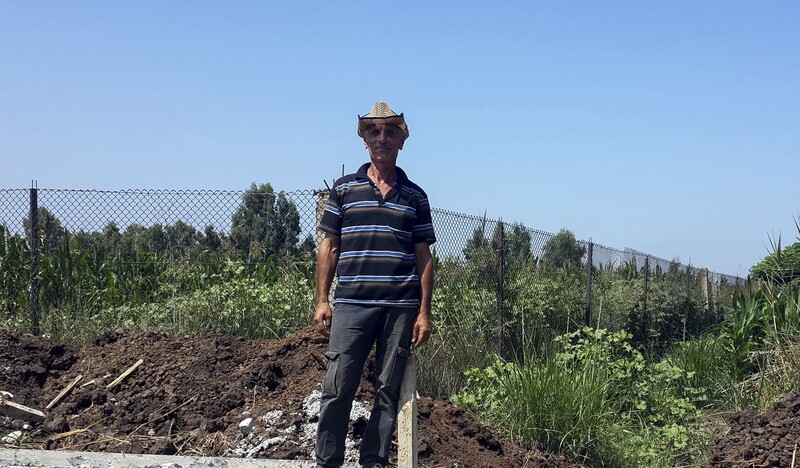 Farmer Mikhael Elias was born and raised in Tal Abbas. Mikhael’s story is a case in point. Although Lebanon is better endowed with water resources than its neighbours, low storage capacity, inefficient networks and pollution are putting pressure on supply. And over the past years, demand has increased as the country is hosting about 1 million refugees from Syria. 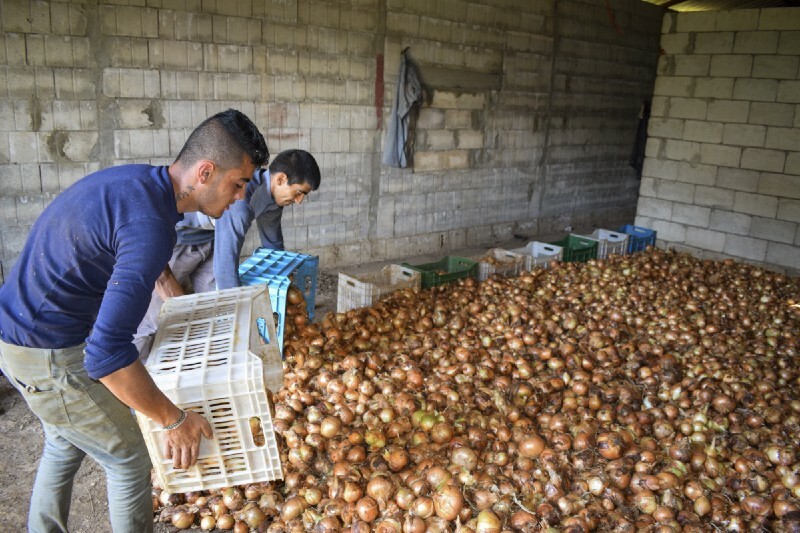 Accounting for 80 percent of GDP in the country’s poorest areas, such as in the Akkar district where Mikhael lives, agriculture is key to poverty reduction and economic growth. But while agriculture is Lebanon’s biggest water consumer, productivity remains low. Improving irrigation, reconstructing channels and closing leaking networks can lead to more efficient and diversified agriculture, more jobs, securer livelihoods and economic growth. This means boosting progress across several Sustainable Development Goals (SDGs) targets, including agricultural productivity (target 2.3), sustainable food production (2.4), economic growth (8.1) and ultimately poverty eradication (1.1). It also means less stress on groundwater resources, reduced risk for saltwater intrusion and drought, contributing to the SDG targets on water-use efficiency (6.4), protection of water-related ecosystems (6.6) and combatting desertification (15.3). 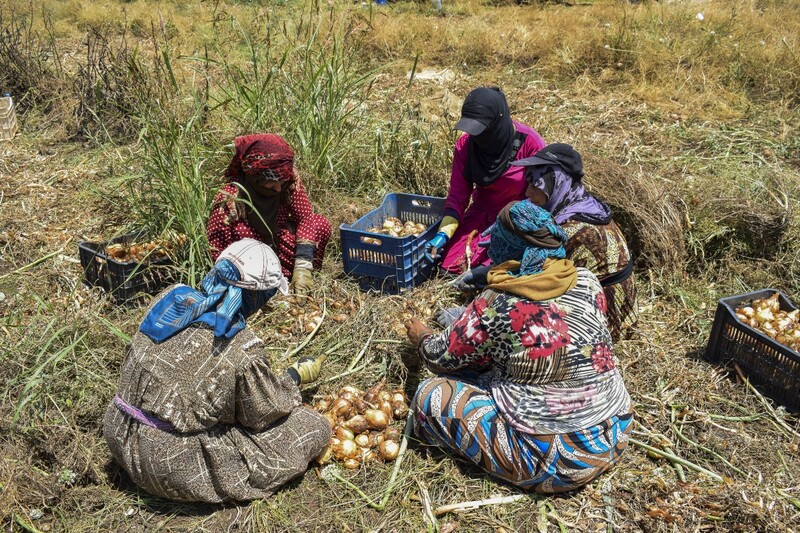 Residents of Tal Abbas depend on farming as their primary source of income. Many initiatives are underway to support integrated water resources management (IWRM) in Lebanon. The country’s National Water Sector Strategy aims to ensure water supply, irrigation and sanitation services before 2020. The Strategy addresses infrastructural concerns related to transmission, distribution and wastewater treatment, as well as management issues including institutional, financial, legal and environmental aspects, in line with the SDGs. A master plan has also been launched for the Akkar region, addressing the increased demand on water resources over the past years, which will contribute towards achieving SDG 6 — Ensuring access to water and sanitation for all. 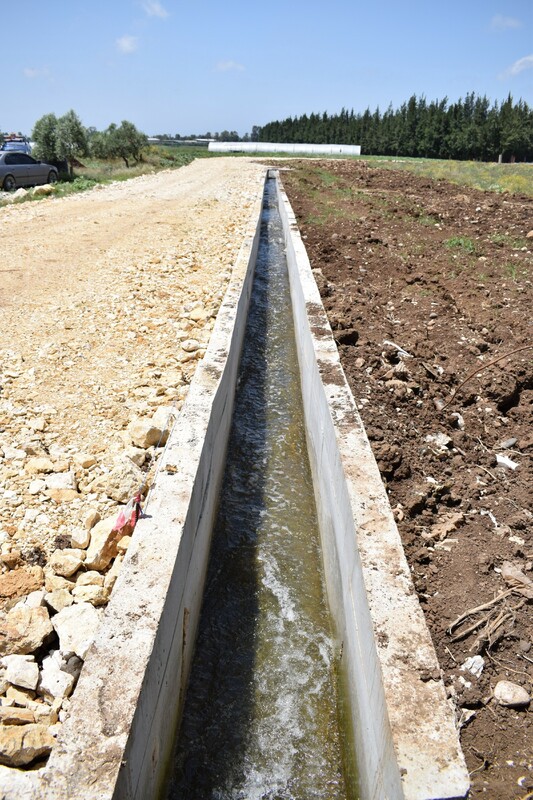 In Tal Abbas, Mikhael and so far 4,600 other persons have benefitted from the reconstruction of 8,000 metres of earthen canals into permanent concrete installations, ensuring that water reaches the cabbage, potatoes and eggplants without losses. “Now I can cultivate all kinds of vegetables in less time and in bigger areas. It’s more productive and more profitable,” says Mikhael. More accessible water means that more and different crops can be cultivated, including thirsty carrots, onions, tomatoes and cucumbers. The reconstruction of earthen canals ensures that water is not lost before it reaches the crops. In another part of the village, a team of 60 women and men loads a transport of grapes and artichokes to the local market. Hanadi Khodor Abdo is one of them. “I pack fruits and vegetables that need delicate work and special skills. Not everyone can do this job.” With more water, Hanadi now works seven hours a day instead of only a few hours in the morning. Tapping the village’s resources has also created entirely new jobs, including for refugees. Hafez Al Nayeb Al Hussein came from Syria to Lebanon with his family in 2013. In Tal Abbas, he is now cultivating the land. “My eldest son recently joined me at work because more people were needed in the field, which doubled our family’s income,” says Hafez. These are a few results from a project where UNDP is working with the Lebanese Ministry of Energy and Water, the German Federal Ministry for Economic Cooperation and Development (BMZ) and the German development bank KfW, to improve water management and ensure livelihoods in four villages in the Akkar district. 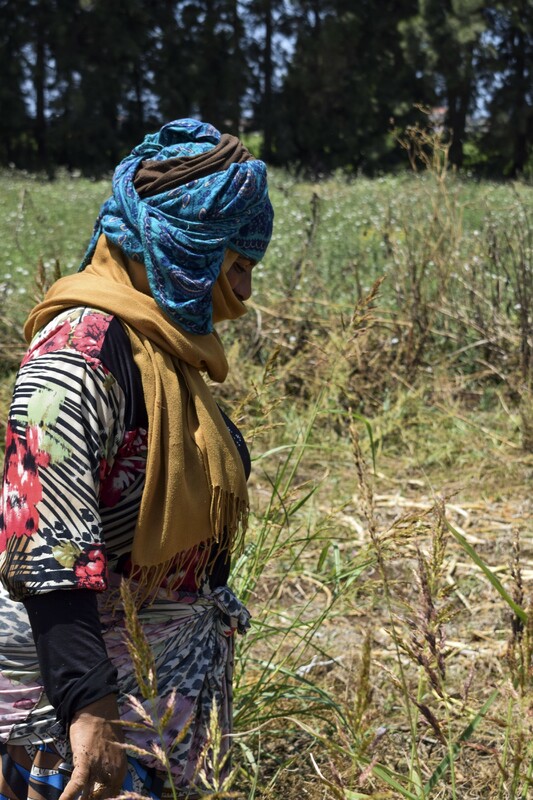 For the farmers, the upgraded irrigation system — now reaching 80 percent of Tal Abbas’ lands — means that they no longer have to purchase water from other sources. 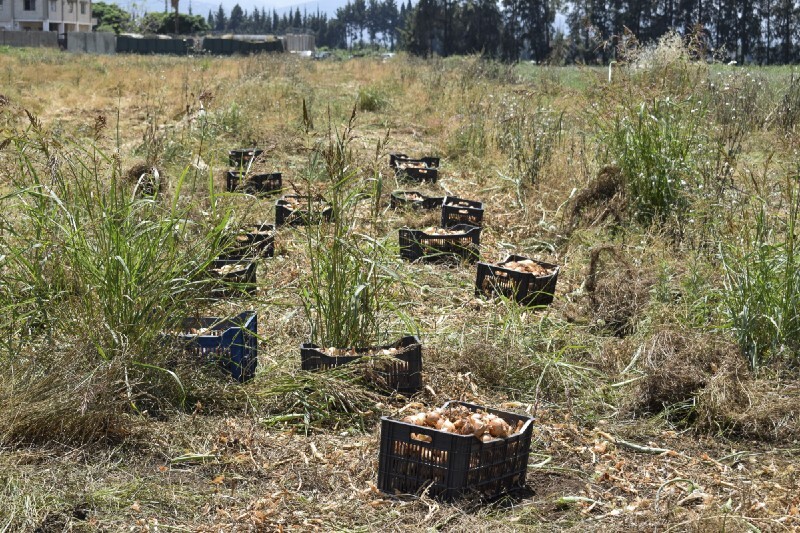 And with the Ostouane River now reaching more areas, farmers have also increased investments and are cultivating year around, on the entire capacity of their lands. Lebanon’s story is similar to that of many other developing countries. Accounting for nearly 70 percent of global freshwater withdrawals, agriculture is by far today’s largest water consumer — thus exacerbating water stress and affecting more than 2 billion people worldwide. According to the SDG 6 Synthesis Report 2018 on Water and Sanitation, agriculture can be part of the solution. Decreasing its water usage would considerably ease water stress in other sectors, and have positive effects beyond improved water use efficiency. UNDP is working with the Government of Lebanon to develop water management facilities that promote inclusive growth. Integrated water resources management has a key role to play here, as experts assess that it will be a stepping stone towards achieving SDG 6 and ensuring strengthened cooperation around limited water resources. But most countries are currently not estimated to achieve the target on IWRM by 2030, although moderate progress has been made since previous surveys in 2007 and 2011. Capacities — both institutional and human — as well as financial resources, improved governance structures, and more and better data are needed to put the world on the right track. Based on a self-reporting questionnaire addressing issues such as financing, management instruments and policies, plans and laws, the Synthesis report shows that the current global average of IWRM implementation lies at a ‘medium low’ 48 percent. In July this year, Lebanon — currently also at a ‘medium low’ degree of IWRM implementation — will present its first Voluntary National Review, describing the country’s progress on the SDGs at the High-level Political Forum in New York. Water management has already been underlined by the government as key to the sustainability of economic sectors that are crucial to the country, such as industry, tourism and agriculture. 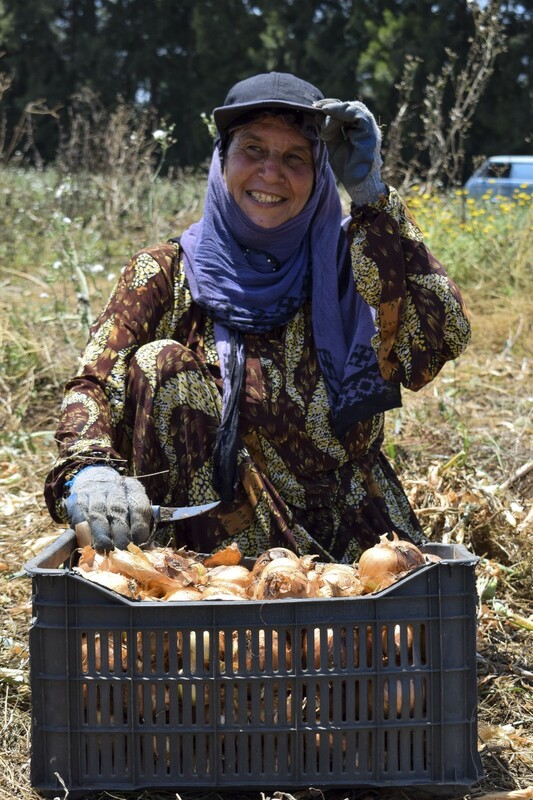 Tal Abbas is known throughout Lebanon for its farming tradition, passed from generation to generation. Water has an important role to play also in UNDP’s support to SDG achievement in Lebanon. The UN Strategic Framework 2017–2020, which coordinates actions across UN agencies, outlines for example support to the Government in developing water management facilities to promote local and inclusive growth, improving environmental governance to protect water ecosystems and ensuring safe water delivery to the most vulnerable populations. 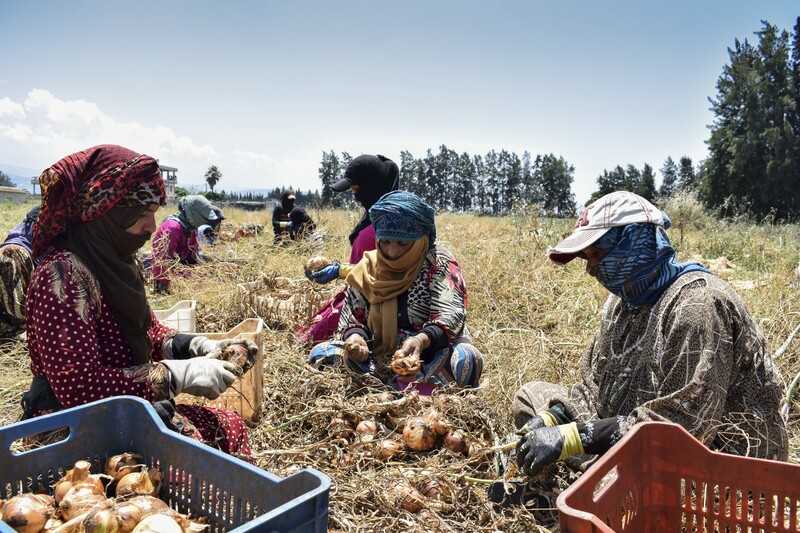 In the coming years, Lebanon is projected to experience a significant increase in agricultural productivity. 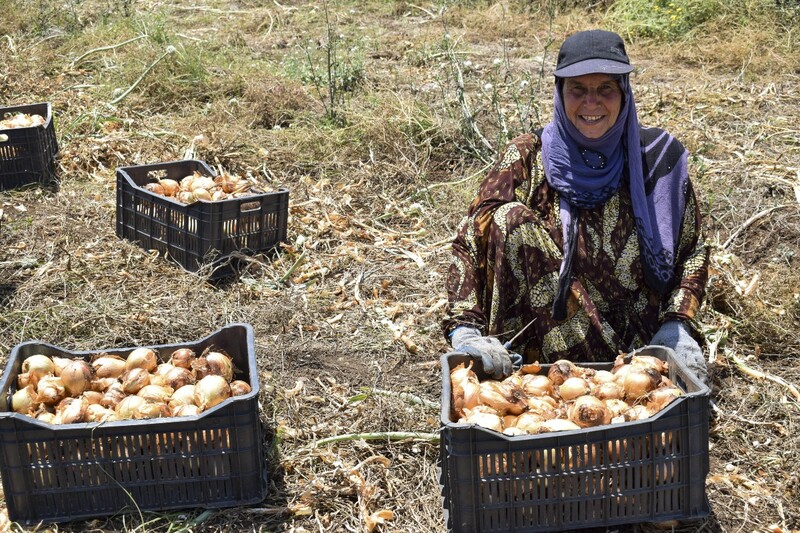 Tal Abbas, known throughout the country for its farming tradition that has been passed from generation to generation, is seeing a positive trend already. “The new canals were constructed to last a hundred years. This doesn’t only benefit me, but my children and the children of my children,” says Mikhael. His daughter is currently studying agricultural engineering and is planning to come back and work together with her father — as long as there is enough water. Lebanon will present its first Voluntary National Review on the country’s progress of the SDGs at the High-level Political Forum (HLPF) in New York, an annual UN-led meeting that brings together ministers, business leaders and civil society. Between 9 and 18 July this year, 47 countries will tell the world how they are implementing the Goals — including their best practices and current challenges to move the SDGs from paper to practice. The SDG Deep Dive series aims to illustrate how the 2030 Agenda impacts development and showcase early results from the first years of this transformative plan for humanity. Through snapshots of the work from around the world, the stories show how countries and communities are moving the SDGs from paper to practice, with UNDP’s support. Want to know more or let us know about your SDG contribution? Follow us on Twitter @UNDP_SDGs or connect via 2030agenda@undp.org.